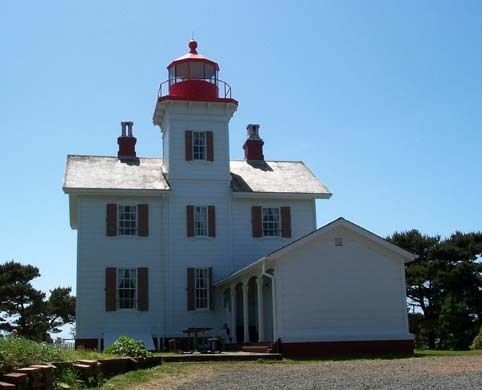 Yaquina Bay Lighthouse is located within Yaquina Bay State Park’s 36 acres. Yaquina Bay Lighthouse is 51 feet high and was erected 1871 only to be decommissioned 3 years later in 1874 after it was discovered that the light from the lighthouse was blocked by Yaquina Head. 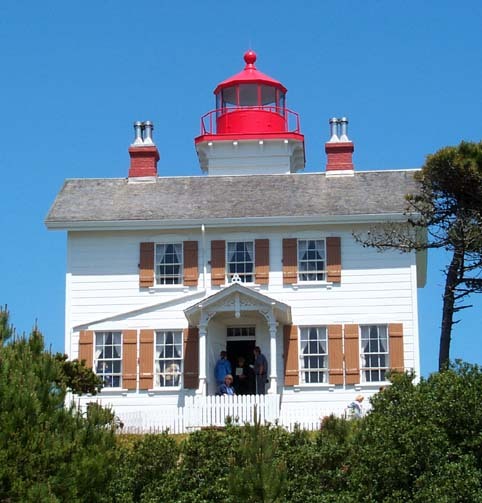 After a new lighthouse was completed at Yaquina Head, the Yaquina Bay Lighthouse was decommissioned. The lighthouse has been restored by the local historical society and is open to the public daily from Noon to 4pm. 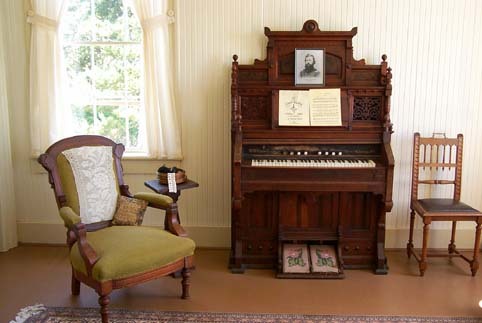 Inside you will find each room carefully arranged in a historically accurate setting. Narrow staircases rise between the floors before you reach the upper spiral staircase. Direct access to the very top is obstructed. The basement has been converted into two parts, a small video room and lighthouse store. Outside the lighthouse you will find picnic tables. The drinking fountains and bathrooms with running water are behind the lighthouse. Traveling North on Highway 101, take the first exit right after crossing the Yaquina Bay Bridge. Circle around right under the bridge and proceed to the main parking lot. Traveling South on Highway 101, take the last right before you begin to cross the Yaquina Bay Bridge. Proceed straight to the parking area.